Mascot’s Trusted Home Cleaning Experts. Pristine Home offers comprehensive cleaning services for residents and businesses in the Mascot area. 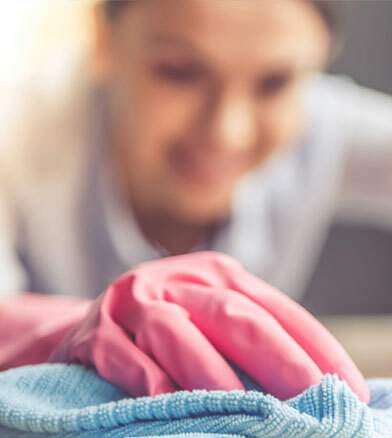 With over ten years of experience in the cleaning industry, we have been providing reliable workplace and residential cleaning services to thousands of satisfied clients. We ensure the safety of your home by employing highly trusted cleaners who have been police-checked. Our cleaning team are dedicated to delivering timely cleaning services that will leave you delighted with a beautifully cleaned home or office. Whether you need an ongoing cleaning every week or on a fortnightly basis, or just a one-off clean to restore the glory of your home, Pristine Home can accommodate your cleaning needs. What Cleaning Services Do We Offer? The domestic cleaning service we provide is designed to help homeowners maintain an organised home that is free from dust and grime. Simply choose a cleaning schedule based on how many times you need us to come to your home and we’ll sort the rest. There’s a variety of options available: weekly, fortnightly, monthly, and one-off cleaning. Book online today. Tenancy coming to an end? There are a number of tasks you must accomplish before you move out of the property. In addition to organising and packing your things, finalising the bills, and ensuring that the place will look as close to its original condition as when you first moved in, you still need to worry about cleaning the place. Why burden yourself with this task when you can simply book the experts when it comes to vacate cleaning? 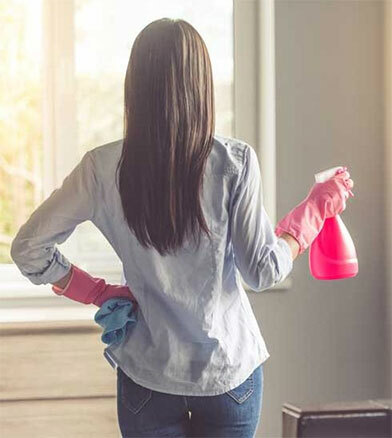 Pristine Home’s cleaners are properly trained, and are familiar with the cleaning checklists that real estate agents follow in order to return you bond. Our end of lease cleaning service focuses on helping renters prepare the property for final inspection. We take care of cleaning the oven inside and out, degreasing range hood and stove top, vacuuming and mopping floors, and removing dust and grime buildup. If you live in an apartment building, you know that even with a limited space, it can get dusty pretty easily, especially when you like keeping the windows open. Making the effort to maintain a clean living space can be the farthest thing from your mind when you have a busy job that requires you to work long hours, so why not book the experts to clean your apartment? Moving in or out of your current premises is a big task because of so many things that need to be done. At Pristine Home, we help you tackle the moving-in and moving-out process by providing you with a thorough cleaning service. At the end of the cleaning appointment, your place will be looking spotless! We specialise in spring cleaning to allow homeowners to cut through winter’s clutter, and get the house looking ready for springtime festivities! Our spring cleaning service is one of our most comprehensive services, and focuses on clearing out cabinets, removing dirt and grime from places you wouldn’t even think of looking, and cleaning windows and blinds. One of the most dreaded tasks for homeowners is cleaning the bathroom. It can get pretty dirty and grimy, especially if it’s not cleaned regularly. To bring back the shine of your powder room, book a bathroom cleaning service with us. We’ll get your bathroom looking and smelling squeaky clean, while you put your feet up and relax. As part of our commitment to delivering quality cleaning services to all customers, we provide a 100% satisfaction guarantee. If you find that the work quality of our cleaning team does not meet your expectations, let us know and we will resolve your issue, free of charge. Want Your Leisure Time Back? Cleaning the house without the help of your spouse or your kids can be a physically demanding task. You start by scrubbing the bathroom floors, disinfecting the toilet, and before you know it, it’s late afternoon and you have spent almost all day trying to get the house to look presentable. If this sounds like you, hiring the services of professional cleaners might be the best thing to do. At Pristine Home, we’ll take over cleaning the house by sending a team of highly-trained cleaners who will perform a thorough clean of your home. This way, you can come home to an organised living space after you just spent the day relaxing or lounging around the pool. How good does that sound!? Ready to Book Your Cleaning Service? Booking a residential or commercial cleaning service with Pristine Home is as easy as 1-2-3! Simply go online and visit our website where you can book a cleaner, review the quote that will be displayed, and we will take care of the rest. We work around your schedule. Whether you need a cleaner today, tomorrow or at a schedule that fits around your lifestyle – we can help. Don’t work with cleaners who don’t meet your standards. We offer a 100% satisfaction guarantee – if for any reason you aren’t happy we will resolve any concerns. We provide you with a cleaner that you’ll love and who is a perfect match for the standards you expect. We pride ourselves on long term relationships between our customers and your cleaner. All of our cleaners are personally vetted and Pristine Home offers a fully insured service for your peace of mind. 10 Years Experience: We’ve been operating in Mascot and the surrounding suburbs for 10 years now! We believe that quality cleaning services should not break the bank, which is why we provide our services without deviating from the average rates of home cleaning in Mascot. How’s that for value-for-money! Our customers are constantly giving us great feedback for the quality of the cleaning services we provide. Used 'Pristine's services a few weeks ago for an end-of-lease clean plus carpet wash and steam. Brilliant service, fast, efficient professionals. Highly recommended. The RE agent was astonished and delighted and couldn't believe the pristine state of the apartment after a 2,5 year lease. They checked ridges, drawers, cupboards... everything spotless. Congratulations to the Pristine team for providing a great service! We have Veronique come through and clean for us every week and are extremely happy with the standard of her work. We have found her to be punctual, polite and very thorough which is important to us as we are elderly people with limited mobility. Our bathrooms and kitchen sparkle every time she cleans as well as our tiled floors. Veronique has a positive attitude and is always willing to do extra chores for us which makes our life a lot easier. We would be lost without Veronique. Thank you Pristine Home for providing an excellent service. Want Professional Cleaning for Your Home? More and more homeowners in Mascot are choosing to have the professionals come in and clean their home, why?